Its finally August! Can't believe time has flown so fast. July stormed its way in our lives with the typhoons, electrical blackouts, and instant no class/work days. July for me was quite a roller coaster ride so indeed I savored the moments when it was "up" like when I attended the SM Kids' Denim Fashion event. I remember as a kid, it was my mom who picked my clothes. But nowadays, even our lil darlings and youngsters are the ones who choose their own clothes. And SM Kids provide the best venue to be able to access the latest styles and trends today. SM Kids' Fashion Denim is all about creating eye-catching style for any occasion. This time around, kids' fashion authority goes one step further in showing young ones how to stay ahead of the pack. Fresh faces and new SM Kids' Fashion Denim ambassadors, Andrea Brillantes and Gimme5 are set to show youngsters how to dress up and stand out. TV drama sweetheart Andrea is a regular on the popular show Annaliza, while Joaquin Lucas Reyes, John Immanuel Bernardo, Grae Fernandez, and Brace Henry Arquiza of Gimme5 have hit it big as the hippest boy band in the country. Together, the stars danced, posed, and had tons of fun in the SM Kids’ Fashion Denim collection at the photo shoot. The young stars were all eager to discover the latest from a brand they have known and loved. During the interview, she shared how much she loved to mix and match the new denim selection in such a way that showcased her style. She said that she really loved the denim dresses. Gimme5 also shared their excitement about the brand’s big denim collection, “We move a lot during practice and performances and SM Kids’ Fashion Denim is great for that,” the boys shared. “There’s a lot to choose from, not just jeans but shorts and shirts too,” they add. In tapping some of the country’s hottest young faces, SM Kids’ Fashion Denim hopes to inspire their young followers to create their own brilliant outfit combinations. As Andrea and the Gimme5 boys put it, the secret to staying ahead of the rest is finding out what the latest trends are and making them work for you. 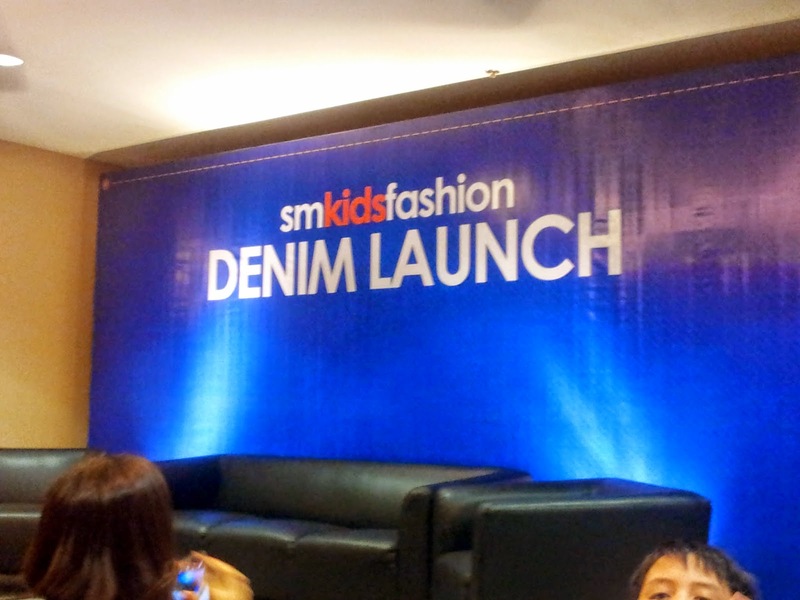 Following in the footsteps of the new brand ambassadors, youngsters can explore SM Kids’ Fashion Denim and create get-ups that were made to standout.